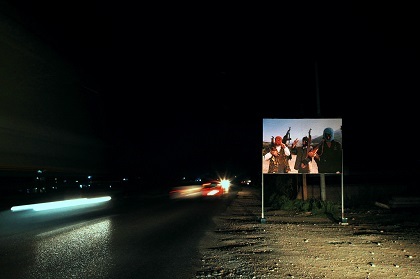 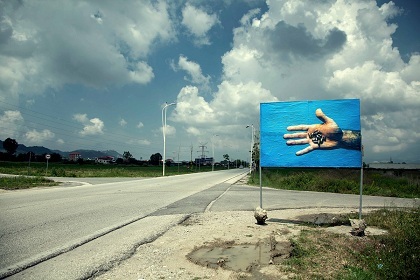 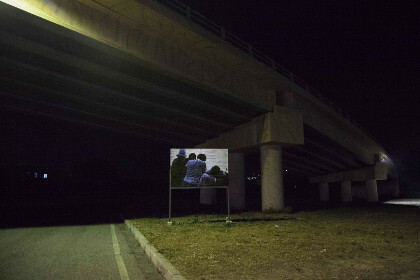 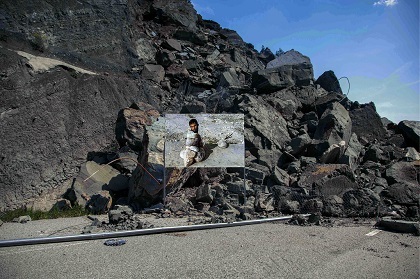 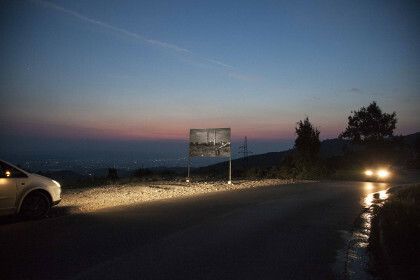 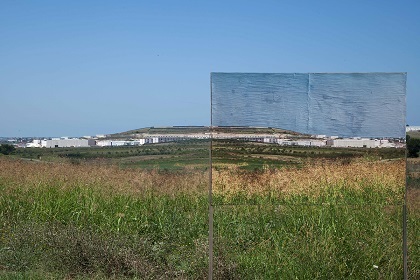 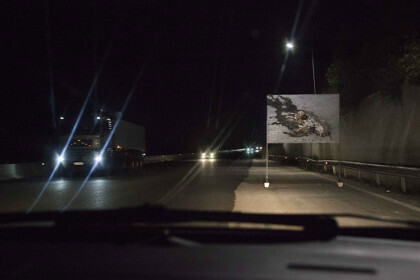 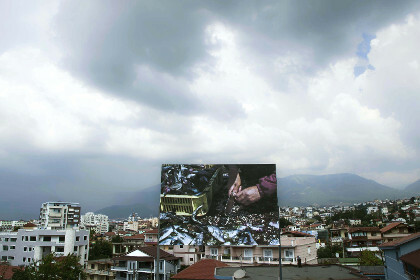 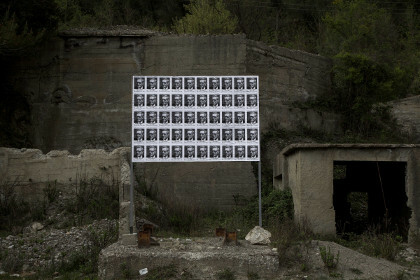 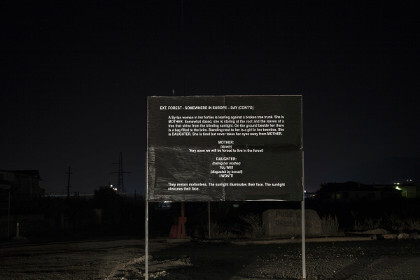 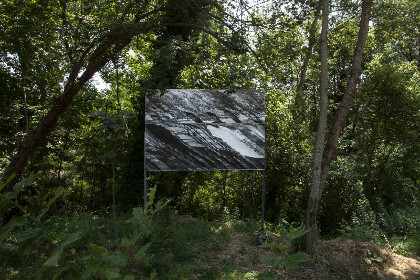 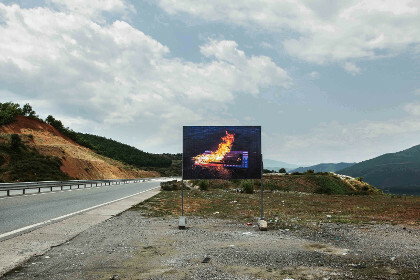 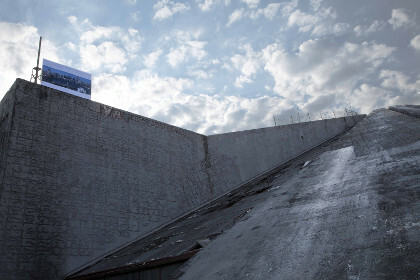 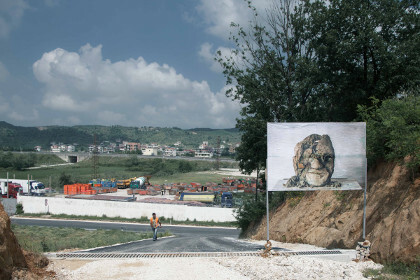 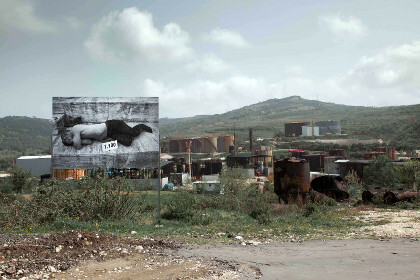 Moving Billboard is a performance-based project involving photographic documentation of the apparition of twenty-four billboards in unexpected locations across Albania over the duration of a single day. 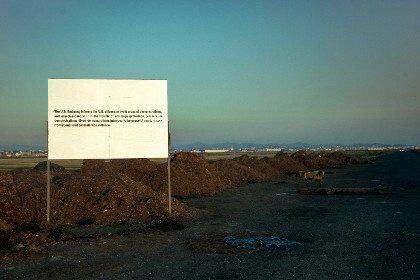 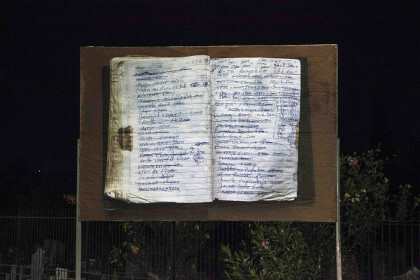 It brings together a diverse group of artists with the aim of building a loop of ideas around the time of the present. 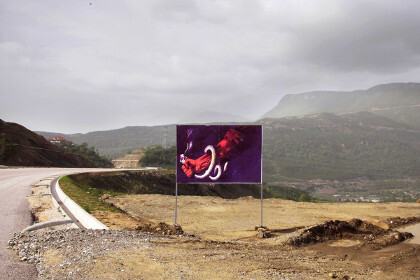 Each of the participating artists has contributed one or more images, depending on the case, that shed a light on issues including but not limited to: economic corruption and police brutality, environmental collapse, war and terrorism, etc. 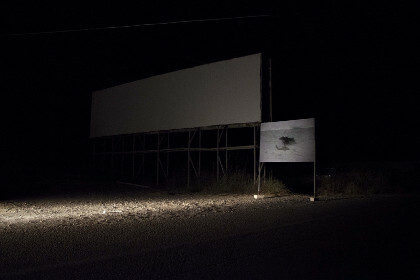 The location and time (hour) of apparition is unique for each billboard. 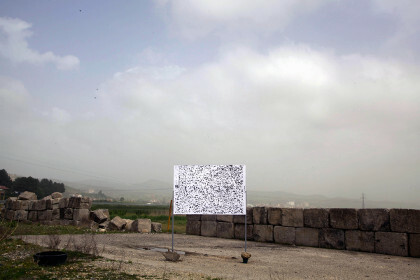 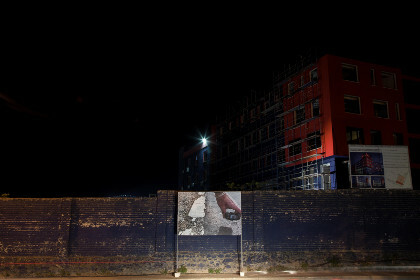 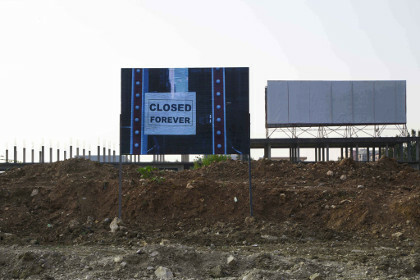 In addition, every billboard remains in situ for only one hour, making it impossible for the viewer to see all of the billboards in the order in which they appear within the given timeframe. 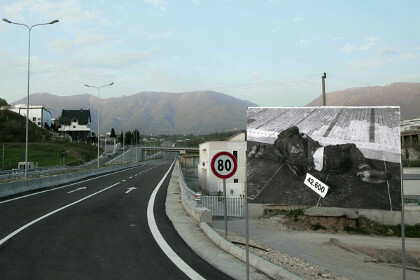 The completed project is being made available here via its photographic documentation. 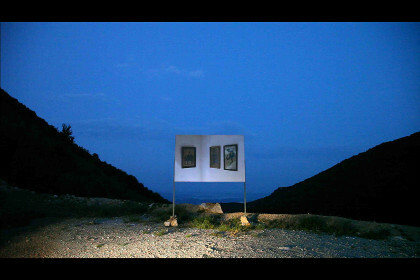 In order to evoke the staging of the project itself, the images will be released in a random order over an unspecified period of time.